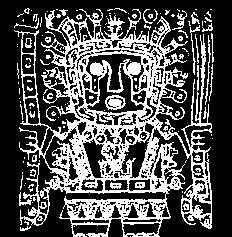 Rumiñahui ( Quechua: rock face), was the name of a general of Atahuallpa, a Kitukara, who tried in vain to defend his city against the Spaniards. 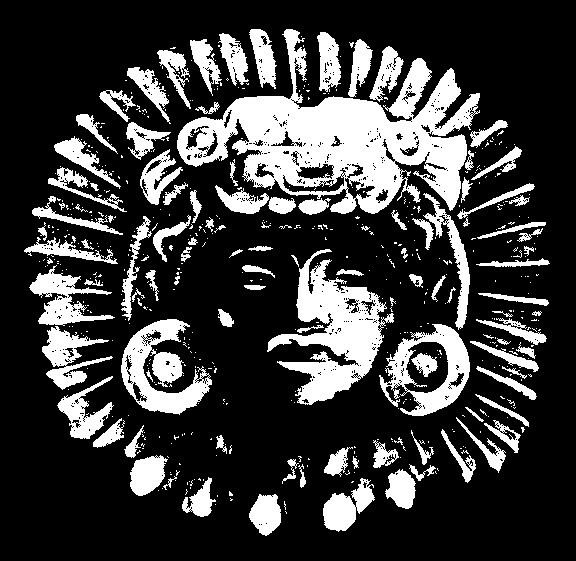 Nevertheless at least the city maintained the name of the original inhabitants. 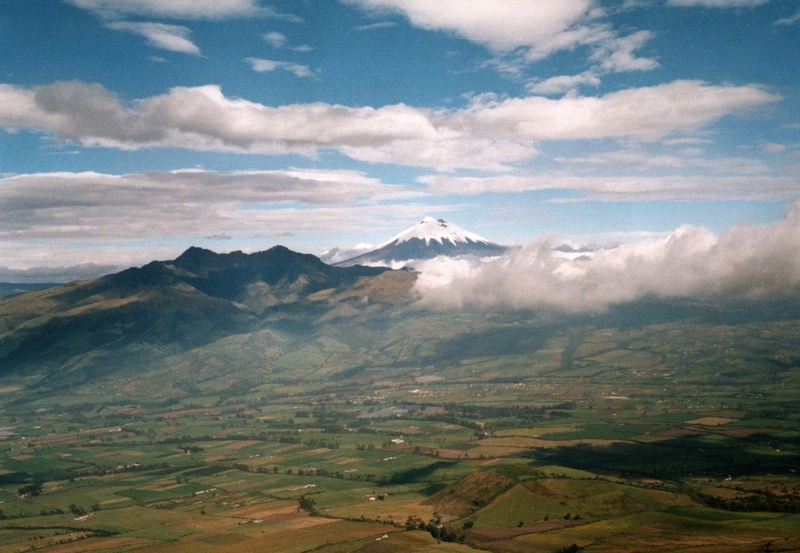 The 4720 m high volcano southeast of Quito is the direct small neighbour of the Cotopaxi in the eastern range of the ecuadorian Andes. It has not been active for a long time already and therefore erodes quite heavily. Its crater is half-open, partially used for fields partially overgrown by bushes and ichu gras. Like all higher volcanos its summit is afflicted by strong winds and clouds. 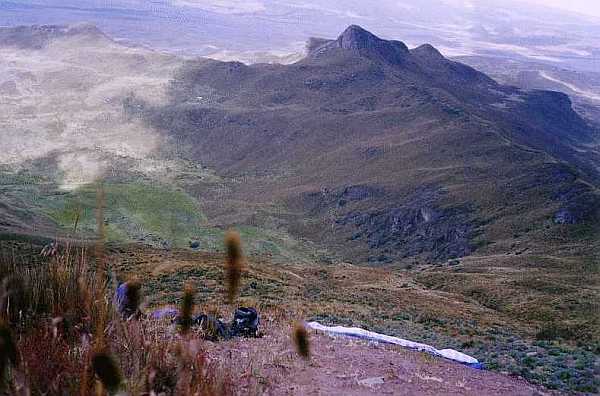 Therefore maybe not an easy flight mountain, but the ascent starting at the Laguna Limpiopungo renders possible an elegant para-crossing of the Cotopaxi national park (topografical map of Ecuador ). 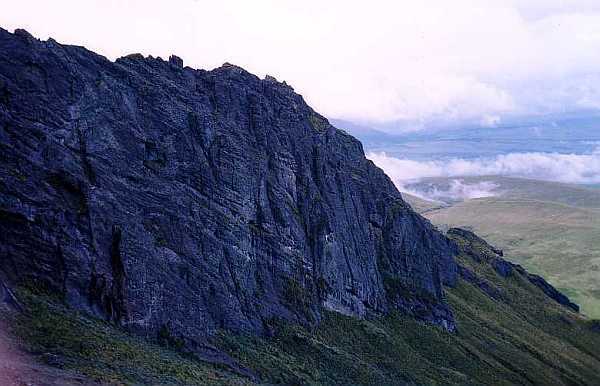 The Rumiñahui at the side of Cotopaxi as seen from the Corazon. From the three summits of the half-open dark crater the left one is the main summit. The flight starts at the other side of the crater. The launch is a little bit below the main summit and the flight continues with strong south-west wind to the left (the north) along the rocky ridge. Launch at 4500 m. As can be seen, there are sufficient landing possibilities near by. Take off is perhaps not completely easy, because of the strong wind of 30 - 40 km/h. Like so often on the less known summits it is a fairly lonely undertaking. Altogether I needed four attempts at this volcano, one of them in the interior of the crater, two with violent hail showers at the beginning of of May, until finally a start succeeded. Together with the ascent and waiting for good wheather it is always a little two-day enterprise. Flight route along the rock wall, at which in the evening before two condors soared for hours. The south-west wind dynamically keeps up the paraglider until you can land 4,5 km further north on the upper meadows of the village Santa Ana. 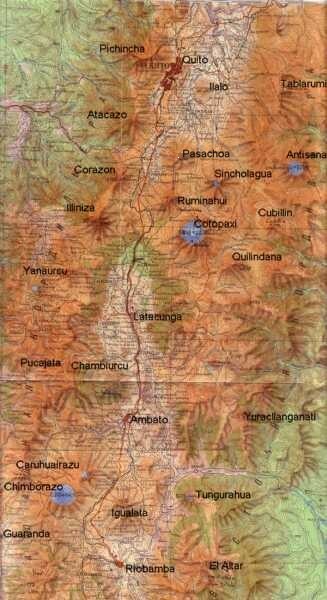 Some call it Tambopaxi as well, since a lodging with this name lies in the proximity. From Santa Ana there is a road to Machachi and from there by bus every five minutes to everywhere.